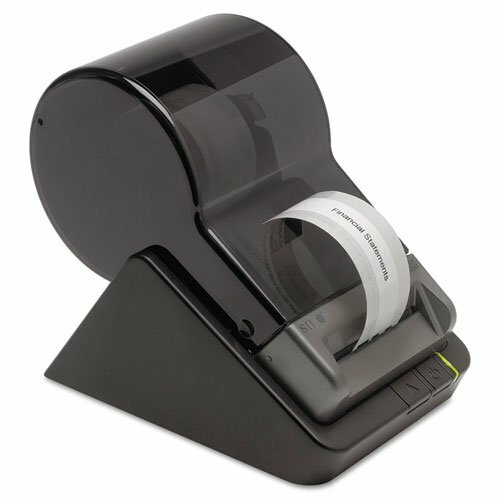 "Fast, easy, affordable desktop label printer for PC and Mac." "Rapidly produce crisp, clear labels: address, shipping, file-folder, multipurpose, name badge, and more." Sleek new design frees up desk space.